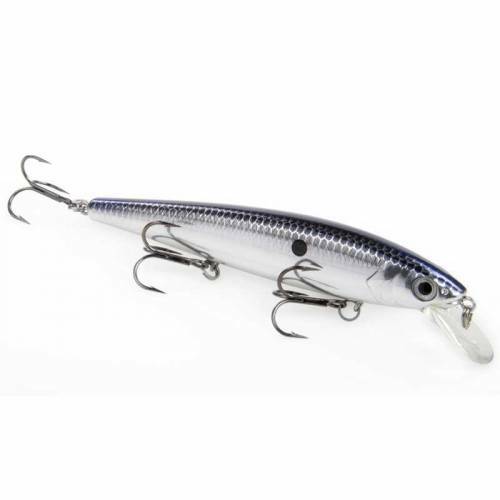 Strike King KVD Jerkbait - Chrome Blue. Kevin VanDam has designed this jerkbait to be the wildest acting lure with lots of side-to-side travel and erratic wiggling and darting movement. A weight transfer system allows extra-long casts. Lure features 3D eyes & incredible detailing and three treble hooks. 1.5oz. Assorted colors available.